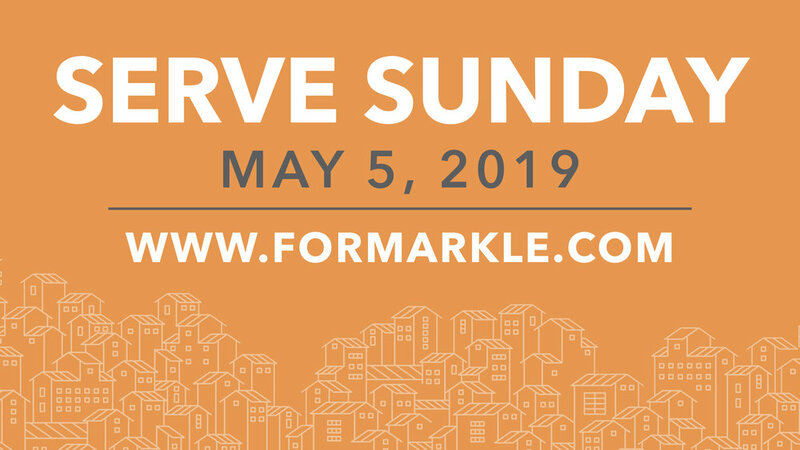 At last year’s first inaugural "Serve Sunday" over 500 members from our local congregations and throughout our community came together to invest in the betterment of our town—and it was a huge success. We’re ready to do it all over again this spring! Mark your calendar for Sunday, May 5th as we carry out the third component of our mission—serving others. Why are we doing this? It’s simple. Too many people and organizations are known for what they’re against. We want to be known by what we’re FOR—and we are #FORMARKLE. Volunteer registration is open! Head over to www.FORmarkle.com for more information. Check out our highlight video from Serve Sunday 2018!